In our MRP system series, we are explaining the general concepts surrounding MRP systems. 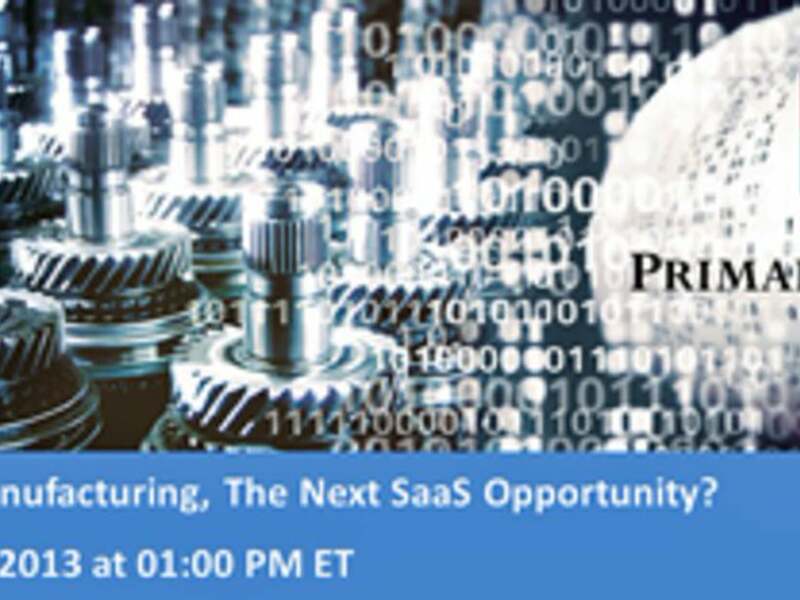 A common mistake small manufacturer makes when choosing manufacturing software is that they choose a general-purpose ERP when they need an MRP system instead. ERP and MRP systems are somewhat similar, it is easy to mistake one for another. However, they serve different purposes. The earlier of the two was MRP software. MRP, originally known as Material Requirements Planning (aka MRP I), was born over a half-century ago and it is a method for inventory management and planning. Originally, the MRP software was not integrated into other business processes. It was input bills of materials, inventory levels, and a master production schedule (or a forecast) and it output a basic production schedule and purchase requirements. Then, for greater efficiency and accuracy, more functionality was incorporated into this application, it was connected to other parts of the business for data collection and live information – the shop floor, manufacturing sales, procurement, machines, warehouse management etc. In addition, the scheduling algorithms were improved to include capacity scheduling. Now it would be possible to conduct production planning in detail and have a live overview of all processes. These systems were coined Manufacturing Resource Planning systems aka MRP II (nowadays, this is what generally is meant by MRP systems). Centrally, an MRP system is an inventory management software for manufacturers. These systems are sometimes also called Manufacturing ERP, or Manufacturing Execution Systems. You can read more here: MRP System Series #1: What is MRP? Enterprise Resource Planning (ERP) is a more general type of business application. In fact, it is a suite of integrated applications. It somewhat grew out from MRP systems, but it would be fairer to say that these systems developed in parallel. MRP focuses on manufacturing, ERP focuses on everything else, making sure that every single bit of the large enterprise is connected into one central system – HR, CRM, WMS, POS, accounting, payroll, documentation etc. Often, ERP systems have some production planning modules or MRP modules, but they are limited compared to dedicated MRP systems. Mostly the MRP module in the ERP system corresponds to the MRP I application, is difficult to use and lacks data-collection capabilities. How to choose? MRP vs ERP? These systems complement each other, especially when implemented in a large enterprise. However, implementing an ERP system for a small manufacturer is an overshot if there is no MRP system in place, which can provide a clear production schedule and manage the inventory. There are fundamental differences even though there’s great overlap in functionality. On a fundamental level, a central goal of most general-purpose ERP systems is the facilitation of financial management and reporting by using a central and a shared IT system in the company. But it has limited support for production scheduling and shop-floor data collection. Typically, every process is built around the accounting module. At the same time, the central goal of an MRP system is the facilitation of production control, scheduling and reporting by using a central and shared IT system. 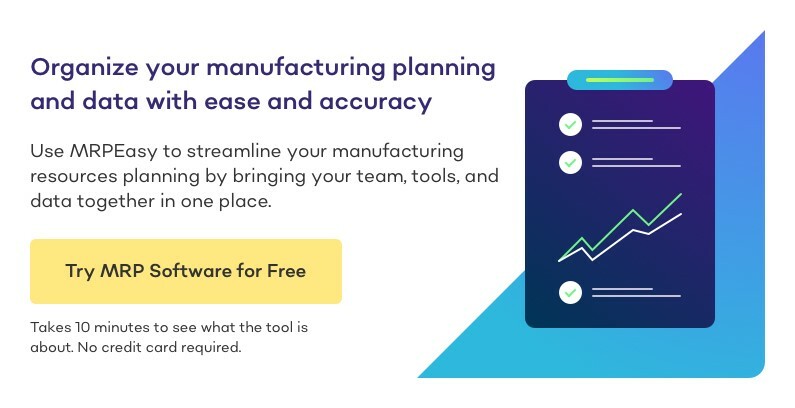 But it has limited support for accounting processes, even though it manages the production finances with ease, and together with accounting software provides a fully functional manufacturing ERP system. Typically, every process is built around the production planning and inventory management modules. This is exactly why a manufacturing ERP or an MRP system needs to be used, the inventory management software and manufacturing software need to be one solution. Then, in great detail, it is possible to manage the work station capacity, production calendars, employee calendars, product costing, material traceability, material consumption in production, shop floor data collection. The idea is that there is clarity in inventory management, production planning, sales management, and procurement processes – none of those functions can be disconnected from the other. 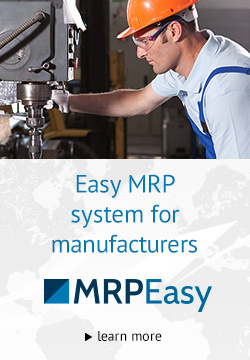 MRPEasy is an MRP system like this, designed to maximize efficiency and productivity of small manufacturers. Try it now!